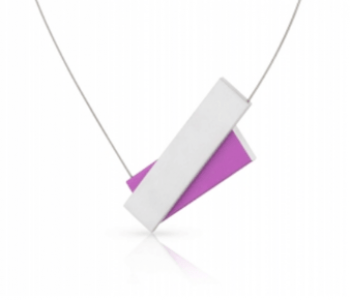 The aluminium Clic C183 Necklace consists of two subtle matt silver and purple sticks that overlap and connect. The sticks are connected by a fine stainless steel wire. The sticks are attached by means of a magnetic mechanism. The invisible fastening on the front of this necklace makes it unique. 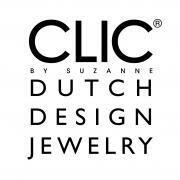 It’s always a surprise how your necklace closes: Find the right click!